October 10 was National Women’s Day in Morocco, an occasion to celebrate the achievements of women while calling for greater equality. 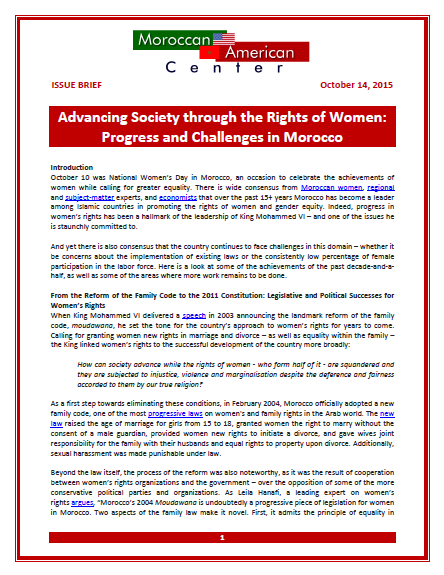 There is wide consensus from Moroccan women, regional and subject-matter experts, and economists that over the past 15+ years Morocco has become a leader among Islamic countries in promoting the rights of women and gender equity. Indeed, progress in women’s rights has been a hallmark of the leadership of King Mohammed VI – and one of the issues he is staunchly committed to.